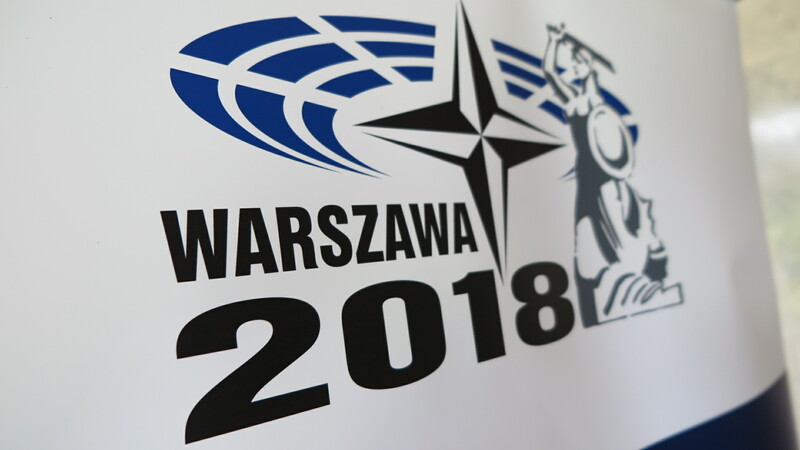 The 2018 Spring Session of the NATO Parliamentary Assembly (NATO PA) was held in Warsaw (Poland) from 25 to 28 May 2018. The NATO PA brought parliamentarians from the NATO member countries from North America and Europe together as well as delegates from partner countries and observers to discuss reports, recommendations, and declarations. EUROMIL was one of the few observers and monitored two of the NATO PA’s Committees. As stipulated by the President of the Assembly, the Italian Paolo Alli, in the 2017 Annual Presidential Report: “the NATO PA’s role is also to ensure that members of parliament from the 29 NATO countries not only understand the different roles that NATO plays but are better prepared to fulfil their responsibilities as national parliamentarians regarding security-related matters. Parliaments have the final say on defence budgets, share the responsibility of sending our soldiers into combat and, ultimately, are accountable to their citizens for these decisions.” For EUROMIL, being present as an observer is not only important to maintain a useful network with national parliamentarians and other observer organisations, but also to promote EUROMIL’s goals during informal talks and share its experiences in the field of social and human rights of European military personnel as the only European wide umbrella organisation of military associations and trade unions. Poland hosted its first NATO Parliamentary Assembly meeting in May 1999. This was only one month after the Washington Summit, which marked the accession of Poland, the Czech Republic and Hungary to NATO. The last time that Poland welcomed the PA’s meeting was in 2010. The May 2018 Spring Session was organized during the celebrations of the centenary of Poland’s regained independence. 2018 is also the year Poland celebrates the 550th anniversary of parliamentarism. More than enough reasons to be present with several hundred members of parliaments and other stakeholders in Warsaw! Last but not least, this session was the last one before the important Brussels Summit in July 2018. 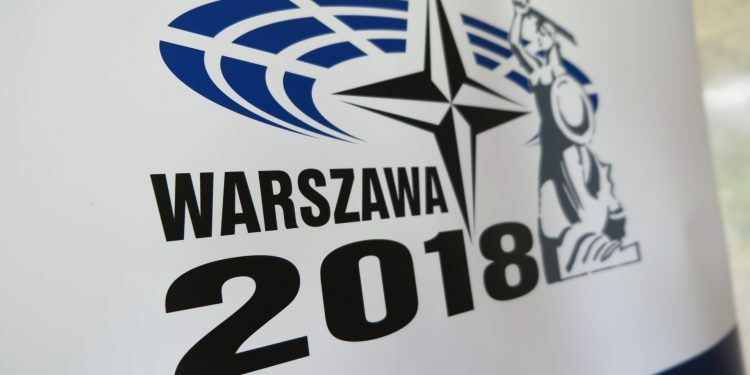 It was also rather symbolic that this session took place in Warsaw because it was the July 2016 Warsaw Summit that marked a significant milestone for the Alliance with the decision to strengthen NATO’s deterrence in response to Russia’s renewed assertiveness by deploying an enhanced forward presence in the Baltic States and Poland. At this moment, over 1,000 NATO troops are deployed alongside Polish soldiers. The Political Committee under the chairmanship of the Latvian Ojars Eriks Kalnins, keynote speaker at EUROMIL’s Presidium Meeting in Riga in October 2017, opened with a speech of Jacek Czaputowicz, Minister of Foreign Affairs of Poland. Minister Czaputowicz focused especially on the Foreign and Security Priorities of Poland. Referring to the issue of defence expenditures, the minister underlined that the Polish defence budget will rise from the current 2 % to 2,5 % by 2030. Let’s hope that the social and human rights of Polish military personnel will evolve to the same extent! Together with its Polish member associations, EUROMIL will surely stay alert and monitor this in the years to come. During the spring session, draft reports are presented and discussed in order to finetune and finalise them for the autumn meeting so at the moment they could be amended and adopted by the Plenary Annual Session of the Parliamentary Assembly. Three draft reports, one on ‘Instability in the South’, a second on ‘North Korea’s Challenge to International Security: Implications for NATO’ and last but not least a third on ‘Security in the Western Balkans’ were presented by their respective rapporteurs Julio Miranda Calha from Portugal, US Congressman Gerald E. Connolly and Raynell Andreychuk from Canada. The Defence and Security Committee was held on Sunday 27 May. The Committee meeting was opened by US Congressman Michael R. Turner replacing the Dutch Chairperson Raymond Knops who has meanwhile become a member of the Dutch government and is no longer attending the Assembly meetings. The first point on the agenda was foreseen for the host country represented by the Minister of Defence of Poland, Mr. Mariusz Blaszczak, and Major General Adam Joks, Deputy Chief of Staff of the Polish Armed Forces. Both speakers drew a clear picture of the current political and military situation of security and defence in Poland. The minister focused in particular on the Polish involvement in PESCO, on military mobility and the EU – NATO cooperation. Major General Joks on his turn declared that armed forces should be politically neutral, independent and that there should always be a civilian oversight. “This allows the military to be the best they can be”, the General pointed out. EUROMIL takes the right to remind the General that the soldier’s human rights do not stop at the barracks gates! Amongst the considerations of the draft reports, a special attention has been drawn on the Draft Report on ‘Burden Sharing: Refocusing the Debate’ presented by Attila Mesterhazy from Hungary. Considering the discussion on this first draft, it promises to be a long debate during the autumn meeting before the report will be approved. Two more draft reports have been presented and discussed. The first one on ‘Reinforcing NATO’s Deterrence in the East’ by the General Rapporteur Joseph A. Day from Canada and the second one presented by Madeleine Moon from the UK on ‘NATO Special Operations Forces in the Modern Security Environment’. Regarding Day’s report, it is important to notice that the discussion focused a lot on military mobility. “A Military Schengen Zone should go hand in hand with infrastructure modernization”, Senator Day underlined. The closing plenary session on Monday 28 May 2018 was opened by the Assembly’s President, Mr. Paolo Alli and followed by several speeches by high Polish authorities from government and parliament, including Mr. Andrzej Duda, President of the Republic of Poland. As final speaker of this 2018 Spring Session, NATO’s Secretary General Jens Stoltenberg took the floor. He addressed the Assembly on the upcoming Brussels Summit in July 2018 and the many challenges the Alliance is facing. Of course, the issue of 2 % was prominently present in his speech and answers. “Parliaments are important but most important is that you, Parliamentarians, vote on the budget! NATO needs you!”, Jens Stoltenberg addressed the members. “The pledge on the increase towards 2 % is no legal document but a political document”, answered the SG on a question of the US Congressman Michael R. Turner. The NATO – EU relation was an important part of his speech, too. “We have stepped up the EU-NATO relations. This is good for NATO, this is good for the EU. Stronger Europe means stronger NATO”, he argued. In answer to a question of Karl A. Lamers from Germany, Mr. Stoltenberg said that after Brexit 80 % of the Alliance expenditure will come from non-EU Allies. On the other hand, Mr. Stoltenberg welcomed PESCO as “something that complements NATO”. Before closing the Spring Session, the Assembly adopted a declaration presented by Lord Campbell of Pittenweem (UK) in the name of the Standing Committee. The draft declaration on ‘Affirming NATO’s unity and credibility at the Brussels Summit’ has been submitted in preparation of the 11-12 July 2018 Summit of NATO Heads of State and Government in Brussels. The declaration applauds amongst other things the important steps taken to develop NATO – EU cooperation and coordination and recognizes the strategic potential. Of course, the declaration also addresses the issue of burden sharing remembering the agreements made at the Wales and Warsaw Summits moving towards the guideline of 2 % GDP for defence by 2024. Finally, the declaration addressed the need of connecting NATO with its citizens.